Several months ago my wife and I visited the Maryland Zoo in Baltimore and enjoyed a polar bear exhibit. After marveling at the bears, we read about Churchill, Manitoba: Polar Bear Capital of the World. We learned that Churchill, located in the far north of the Canadian province of Manitoba, is one of the few destinations that cannot be reached by automobile. The only ways to get to Churchill are by passenger train or air. For that reason, Churchill is our featured destination in this month’s Car Free Journey. Churchill is a town of just over 800 permanent residents (according to the Canadian 2011 Census) on the west shore of Hudson Bay in Manitoba, Canada. The location is most famous for the many polar bears that migrate toward the shore in the autumn, leading to the nickname “Polar Bear Capital of the World”. In 1717 the Hudson’s Bay Company built the first permanent settlement in the area, Churchill River Post, which was only a log fort a few miles upstream from the mouth of the Churchill River. The trading post and river were named after John Churchill, 1st Duke of Marlborough (an ancestor of Winston Churchill) who was governor of the Hudson’s Bay Company in the late 17th century. Churchill has a borderline subarctic climate, due to its location above the tree line with long, cold winters, and short, mild summers. Due to its coastal location, Churchill’s winters are colder than a location at latitude of 58 degrees north should warrant. The shallow Hudson Bay freezes, eliminating any marine temperature moderation. Yet in summer, when the Hudson Bay thaws, Churchill’s summer is moderated. Churchill’s 12.7 °C (54.9 °F) July average temperature is almost the same as Juneau’s 13.8 °C (56.8 °F). The best time to visit Churchill for outdoor exploration is summer and fall. Polar bears are most visible October through November. Like all northern communities in Canada, the Aurora Borealis (Northern Lights) can sometimes be seen when there is a high amount of solar activity. Visibility also depends on the sky being dark enough to see them, which usually precludes their visibility in the summer due to twilight all night long. October and early November are the most feasible times to see polar bears. Thousands of bears wait on the vast peninsula until the water freezes on Hudson Bay so that they can return to hunt their primary food source: ringed seals. Tourists can safely view polar bears from a customized passenger vehicle. During other months, boat tours will take visitors to coastal areas where polar bears can be found both on land and swimming in the sea. Many residents in this area leave their cars unlocked in case someone needs to make a quick escape from a polar bear. Local authorities maintain a so-called “polar bear jail” where bears (mostly adolescents) who persistently loiter in or close to town are held after being tranquilized, pending release back into the wild when the bay freezes over. The holding cell is the subject of a poem, Churchill Bear Jail, by Salish Chief Victor A. Charlo. Thousands of beluga whales move into the warmer waters of the Churchill River estuary during July and August to calf and are a major summer attraction. Churchill is also a destination for bird watchers from late May through August. Birders have recorded more than 270 species within a 25 mi (40 km) radius of Churchill, including snowy owl, tundra swan, American golden plover and gyrfalcon. More than 100 birds, including parasitic jaeger, Smith’s longspur, stilt sandpiper, and Harris’ sparrow, nest there. If you arrive in Churchill by train, you’ll be right at the Parks Canada visitor center (located in the VIA train station). The center has artifacts and audiovisual presentations about the region’s natural and archaeological history. There visitorscanlearnmoreaboutWapuskNational Park,YorkFactory National Historic Site andPrinceof Wales FortNHS,andtakeatour,sitinonpresentations orparticipate in other ParksCanada programs. The Churchill Chamber of Commerce has a very helpful Visitors Guide. To receive a copy by e-mail, contact the Chamber at churchillchamber@mts.net with subjectline “Request Visitors Guide.” (Also tell the Chamber that you read this in Car Free Journey!). If you want a unique experience, consider one of Churchill Wild’s 8-9 day all-inclusive packages from Winnipeg. You will be flown to one of several unique lodges near Churchill and then participate in one of several polar bear focused tours. See under What To Do, later in this column for a list of these tours. By Air: Calm Air International (http://www.calmair.com/schedules.html or call toll-free 800-839-2256 for fares and schedules) flies daily to Churchill from Winnipeg. There are also flights from Thompson, Manitoba, Monday-Friday. By Train: Via Rail (www.viarail.ca or call toll-free from Canada or the United States 1-888-VIA-Rail or 888-842-7245). Trains leave Winnipeg on Tuesday and Sunday and take approximately 48 hours to reach Churchill. The return trains leave Churchill on Tuesday, Thursday, and Saturday. The train to Churchill makes a five-hour layover stop at Thompson, Manitoba. I will spotlight Thompson in our September 2014 Car Free Journey column. From the airport, it costs $25 to take a taxi downtown. Call Churchill Taxi: 204-675-2345. From the VIA Rail station it is a 5-15 minute walk to downtown Churchill where you can find accommodations, restaurants, and other services are located. The Eskimo Museum houses a permanent display of more than 850 high quality Inuit carvings. These include historic and contemporary sculptures of stone, bone, and ivory, as well as archaeological and wildlife specimens. If you bring your passport to the Churchill post office, they will stamp it with a stamp that says: “Churchill, Manitoba: Polar Bear Capital of the World” (with a polar bear picture). Alas, this has no official status—but it’s an unforgettable souvenir. The town of Churchill has gift and souvenir shops plus a few restaurants. Gypsy’s Bakery (http://www.gypsybakery.ca/ or call 204-675-2322) is open Monday-Saturday from 6:00 a.m. – 10:00 p.m. On its website, it claims to be the No. 1 restaurant in Churchill. Sea North Tours (www.seanorthtours.com or call 204-675-2195) Sea North is well known for its beluga whale watching tours. Trip Advisor readers give it high marks for its knowledgeable guides and snorkeling with the whales opportunities. Sea North partners with Parks Canada in taking visitors to Prince of Wales Fort for Sloop Cove hikes and various talks, hikes and special events. 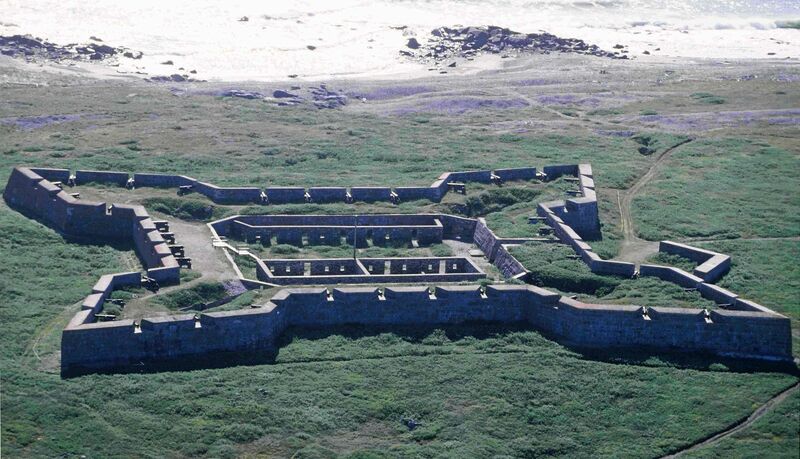 This fort, built by the Hudson’s Bay Company between 1731 and 1771, is a large stone Vauban-style fortification. Polar Bear Tours—Polar bear sightseeing tours are available from the following Tour Operators (see the Members page of the Churchill Chamber of Commerce website for website, e-mail and phone contact information for each tour operator): Great White Bear Tours, Frontiers North, Tundra Buggy Tours, Churchill Nature Tours, Sear River Heritage Lodge, Webber’s Lodge, Dymond Lake Outfitters, Lazy Bear Lodge, and Churchill Wild (see below for more information about Churchill Wild’s tours which must be booked in advance and begin in Winnipeg). Hudson Bay Helicopters (www.hudsonbayheli.com or 204-675-2576). Hudson Bay Helicopters will fly you to Wapusk National Park for a helicopter tour of the park. They will also fly you to York Factory, the Hudson’s Bay Company trading, shipping and administrative center from 1684-1957. While these tours are expensive, a group of three to six people could share the cost and make the trip more affordable. Churchill Wild (www.churchillwild.com or call toll-free 866-687-2327). 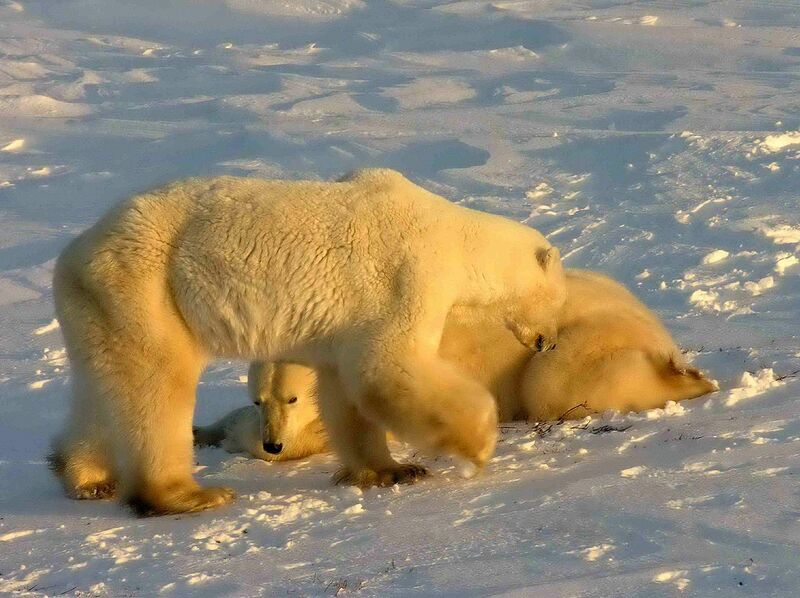 These all-inclusive polar bear-oriented tours last 8-9 days and must be booked in advance. They begin and end in Winnipeg. Tours include: Birds, bears and belugas, Mothers and cubs, Arctic Safari, Great Ice Bear Adventure, and (for professional photographers) the Polar Bear Photo Safari. For details about when each tour is given and for reservations visit the web site or call the toll-free number. Lazy Boy Lodge (www.lazybearlodge.com, or call toll-free 866-687-2327 or the local number: 204-675-2195). Lazy Boy Lodge is the largest log cabin in Manitoba and has a restaurant open to the public. While rooms and tours can be purchased separately, Lazy Boy Lodge encourages visitors to purchase packages that include room, meals, and guided tours. The lodge offers two extensive tours: a six-hour polar bear boat tour, and a three-hour boat tour that includes viewing beluga whales and a visit to Prince of Wales Fort. Entertainment: The Tundra Inn (www.tundrainn.com, or call toll-free 800-265-8563) and the Seaport Hotel (www.seaporthotel.com or call toll-free 877-558-4555 or the local number: 204-675-8807) both bring in bands and other entertainment during polar bear season (October-November). If you are a guest at the Seaport Hotel, the hotel will arrange to pick you up at the airport. This is a sub-Arctic location, so dress accordingly. Wear wind-proof and rain-proof gear in the summer. In the fall, wear appropriate parka and insulated boots, and other cold-weather gear. Churchill is a small town with about 900 people. It is a remote, authentic, Arctic experience, not very touristy, and is off the beaten track. Try to come with an open mind and sense of adventure. These are unforgettable wildlife experiences that visitors will treasure for a lifetime. The Churchill Chamber of Commerce has a very helpful Visitors Guide. To receive a copy by e-mail, contact the Chamber at churchillchamber@mts.net. In the subject, say Request Visitors Guide. (Also tell the Chamber that you read this in Car Free Journey.). www.everythingchurchill.com, the Churchill page of Travel Manitoba. Call Travel Manitoba at 800-665-0040. Visit www.travelmanitoba.com for information about travel and vacation ideas throughout the province of Manitoba. You can view past Car Free Journey columns at www.pubtrantravel.com/carfreejourneys.html. This entry was posted on Tuesday, June 24th, 2014 at 8:22 pm and is filed under Car Free Journey. You can follow any responses to this entry through the RSS 2.0 feed. You can leave a response, or trackback from your own site.